Never mind the kerfuffle over the Disney-fied Christmas decorations in Orchard Road - 'tis the season for reflecting and cherishing what you already have and sharing it. Initially recorded in 2007, it was given to Alec Duffy, winner of a marketing contest, to promote Stevens' Songs For Christmas box-set. In return, Duffy gifted his composition, Every Day Is Christmas, to Stevens. Over the past decade, Duffy has played Stevens' song at private listening parties, paired with cookies and hot chocolate. He has now decided to release the song officially in collaboration with Stevens' label, Asthmatic Kitty, with proceeds going to fund his non-profit Brooklyn performance venue, Jack. It is to the testament of Stevens' artistry that Lonely Man Of Winter fits in his oeuvre, sounding timeless and contemplative like the best of his works. 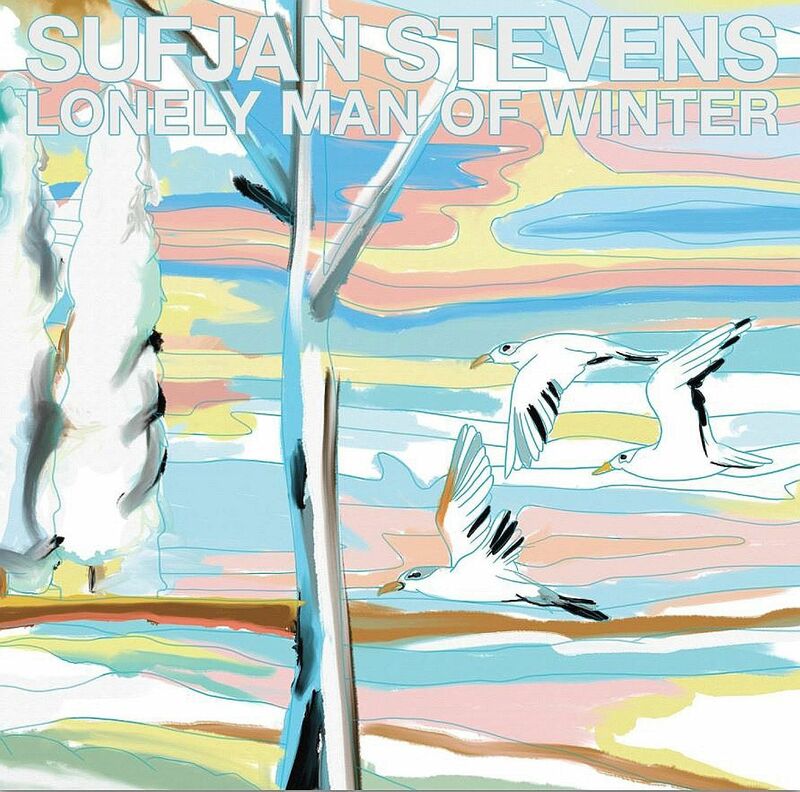 In the spirit of his albums released in the mid-noughties - the chamber folk of Illinois (2005) and his more overtly spiritual record Seven Swans (2004) - Lonely Man Of Winter displays his acute eye for pithy characterisation, in this case an empathetic portraiture of a lonesome soul during the festive season. "In the world that you would make up/With unicorns and buffalo packs/I know that you would wake up/With the sunny side touching your back," Stevens sings in his gentlest wisp over buttery guitar riffs and a smattering of ivories. Why is he alone? Where is his family? What happened? Questions sprout as Stevens, who studied creative writing, acknowledges: "Coming with theories on him... He's riding in the devil's abyss." Therein lies the beauty of his songcraft - he is not wont to judge or proselytise. It reflects his curiosity in humanity and how it ticks. "Oh, I would rate the future/If I could put a finger on it/But I have no idea/If what I want is better than this," he ponders, aware of the gap between reality and man's insatiable hunger as bells ring in the background. It may be a song written for Christmas, but this is not a mindless, hyperbolic celebration. Stevens implores all to look inwards and lend a helping hand. He spoils us with a spacey if needless remix by his friend Thomas Bartlett, aka Doveman, with ethereal harmonising by Melissa Mary Ahern. His song is perfectly complemented by Duffy's piano ballad, Every Day Is Christmas, instead. "But I don't need that fancy stuff, no way, so siree/Cause your love is so much better than a plasma screen TV," Duffy sings simply and clearly. It is a beatific singalong which eschews the mercenary excesses of modern Christmases for the true meaning of the holiday.